Home > Shabbos in Linden > "The Best Thing in Town"
A Linden Shabbos is a truly special experience and the best part of living here. It starts with singing a beautiful kabbolas shabbos in shul and enjoying a little bit of Torah with Rabbi Hess. After maariv, congregants and guests going in the same direction enjoy conversation on the walk home. Some Friday nights after dinner, there is a shalom zachar or a winter oneg at someone’s home. There is something inspiring and warm about getting together on a Friday night, with the twinkling candles, the hot cholent, and the joyful energy in the room. In the morning, Rabbi Hess gives a pre-davening shiur and shul starts at nine. Our davening is energized by our amazing baalei tefilah and the rabbi’s drasha. We also have scholars in residence several times throughout the year. Meanwhile, our children (ages 6 months to 6th grade) are enjoying age-appropriate activities including play, davening, and parsha. 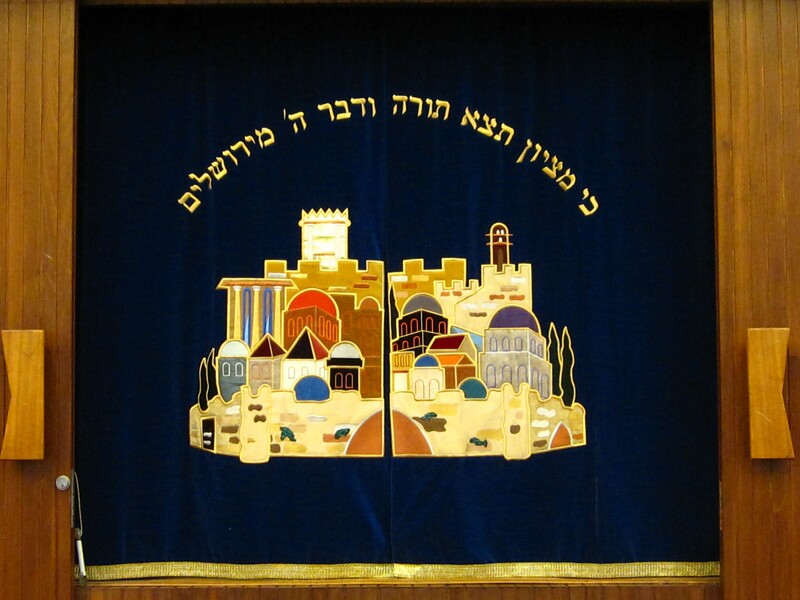 At Aanim Zemiros, we invite our children to participate in the main shul. When the aron opens, the younger children are eager to go up to the bima and kiss the Torah. They have true joy in this moment, and we are proud to watch their excitement as they go one by one and kiss each Torah they can reach. Davening is typically followed by a beautiful kiddush that includes lots of lively conversation and an opportunity to greet our guests again. Sometimes it seems the kiddush has long been cleaned up, but everyone is chatting and nobody wants to leave shul. This is a great community. Many shabbos meals are shared between families, and children often get together to play after lunch. Sometimes it is in these moments that we feel the stresses of the week melt away. It was a long week, but our friends understand us. In good weather, we meet again at the “Shabbos Park” about two hours before mincha. The children enjoy the swings, the slides, and the basketball court, while the adults schmooze and share snacks. Some families bring blankets to sit on the grass. Groups of us take a walk back to shul together for mincha, shaloshudos, a dvar Torah and singing, maariv and havdallah. Our afternoons might also include pre-mincha shiurim, women’s shiurim, or parent-child learning. Our shiurim are well-attended and might be a noted scholar-in-residence or a talk by one of our members. Women’s learning events also draw a big crowd, with topics ranging from Faith to Halacha to Navi. Our parent-child learning opportunities are great for children of all ages, and the children enjoy learning parsha or the topic of their choice in small groups. Shabbos ends too soon. When havdallah is over, we know we’ve been lucky to experience shabbos in Linden. We enjoyed something truly meaningful that we will miss as the days go by. We hope you come visit and join us in shul, at our shabbos table, at the Shabbos Park, at our shiurim, and in our community--week after week!